A host of festive activities can help you make memories with the young folks in your life. Nothing says “Christmas in the city” like the scenic skating on the Boston Common Frog Pond, which opened for the season in mid-November. It’s $6 for folks over 58 inches tall and free for anyone shorter (ice skate rentals cost extra). The Kirrane Skating Rink at Larz Anderson Park (the rink is named for Jack Kirrane, an Olympic hockey gold medalist and Brookline native) is great for families because, in addition to a larger public skating area, it has a small rink for beginners — and everyone can warm up with a hot chocolate from the concession stand. 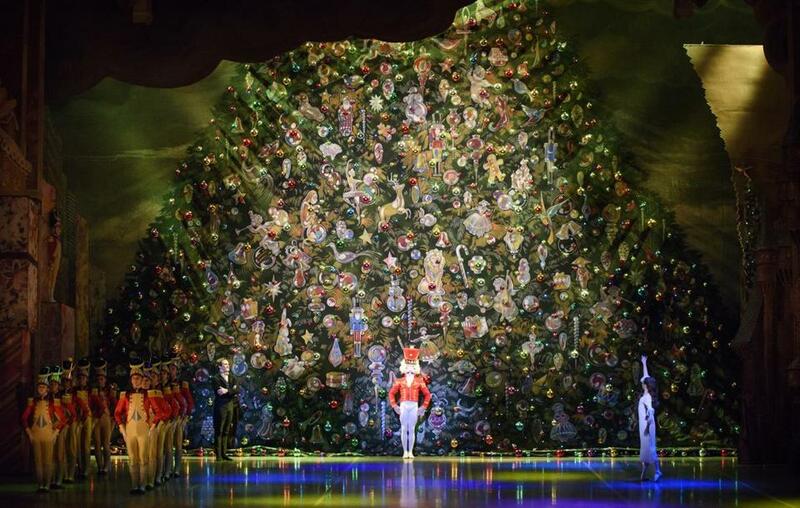 Let visions of sugarplums dance in their heads at Mikko Nissinen’s dazzling Boston Ballet production of The Nutcracker at the Boston Opera House November 25 through December 31. Or catch the Moscow Ballet’s Great Russian Nutcracker at the Orpheum Theatre on December 4, when local children will be rounding out the cast of classically trained dancers. 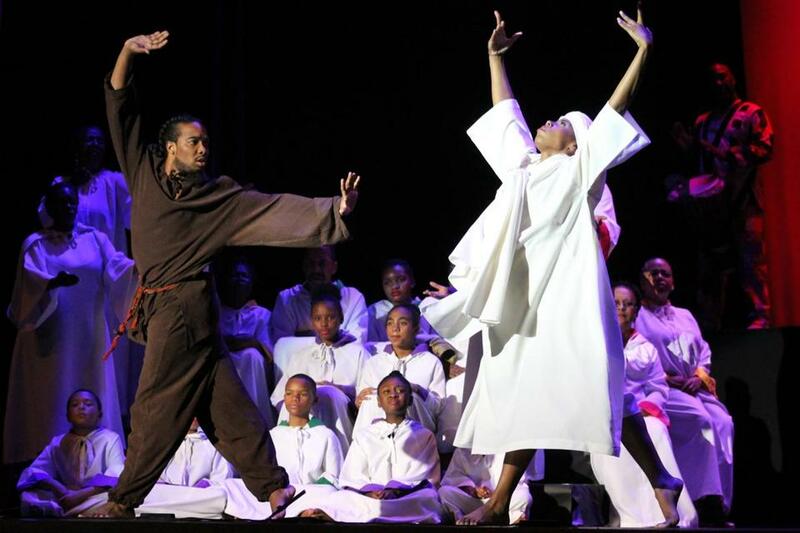 The National Center of Afro-American Artists will once again present Langston Hughes’s mixed-genre retelling of the first Christmas in Black Nativity at the Paramount Theatre, the longest-running performance of this show in the world. Recognize these common seasonal hazards? 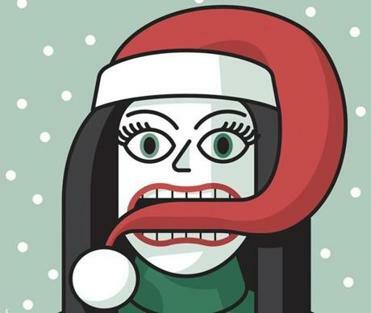 Avoid them like a clever elf this year, with these sensible strategies. If it doesn’t seem like Christmas without the smell of fresh pine in the house, bundle up the gang and cut your own tree at one of the many Massachusetts farms listed on pick-yourownchristmastree.org. Several, like Sleighbell Christmas Tree Farm in Sutton, make an event of it with hot cocoa, Santa, sleigh rides, and other memory-making extras. Of course, you can choose a pre-cut tree at a local garden center. Seasons Four in Lexington has a great selection of affordable trees that you can browse in between appearances by Santa and Elmo. Get a taste of Christmas in the 17th century at Plimoth Plantation’s Annual Light in the Darkness candlelight stroll (December 10, 4 to 8 p.m.). Costumed role players tell the story of how Colonial families spent their first Advent in America. Old Sturbridge Village treats visitors to Christmas by Candlelight tours and 19th-century holiday traditions, including sleigh rides, carolers, roasted chestnuts, and more. New this year at Sturbridge: a North Pole Village with family activities, trackless train rides, and Tinsel the talking Christmas tree. Meanwhile, each December, Stockbridge, the inspiration for Norman Rockwell’s famous Christmas street scene, holds a townwide re-creation of the painting, complete with antique cars. The event caps off a weekend (December 2 through 4) filled with holiday house tours, caroling, and music, but the town’s nostalgic decorations stay up through January. The Boston Harbor Hotel adds some warmth to the season with a Holiday Frost Tea through December 25 at Rowes Wharf Sea Grill ($45 per person; $55 for tea plus a glass of sparkling wine). Enjoy sandwiches and scones, all with a lovely view of the harbor that hosted the world’s most famous tea party. In December, the Wenham Tea House will take a break from its usual princess teas to offer Christmas-themed parties ($30 per person), complete with holiday cookies, European pastries, and Mrs. Claus. Both teas offer hot cocoa for kids, or anyone who wants to skip the steeping. Tree lightings have a way of switching on the holiday spirit. Boston Common and Copley Square both have ceremonies coming up. 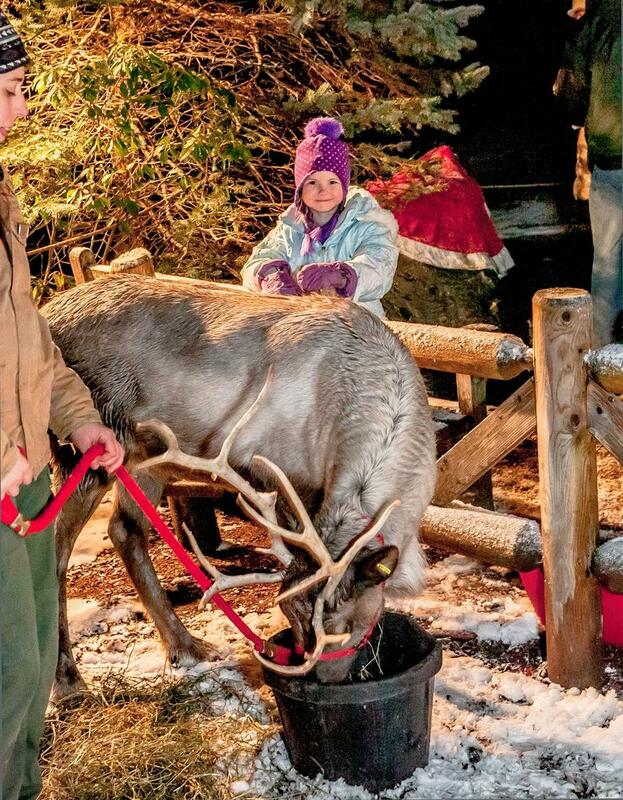 The Copley Square event, November 28 from 5 to 6 p.m., will feature live entertainment and visits from Rudolph, Frosty, and Santa, all followed by a family-friendly (and free) reception at the Fairmont Copley Plaza, where you can decorate cookies and more. 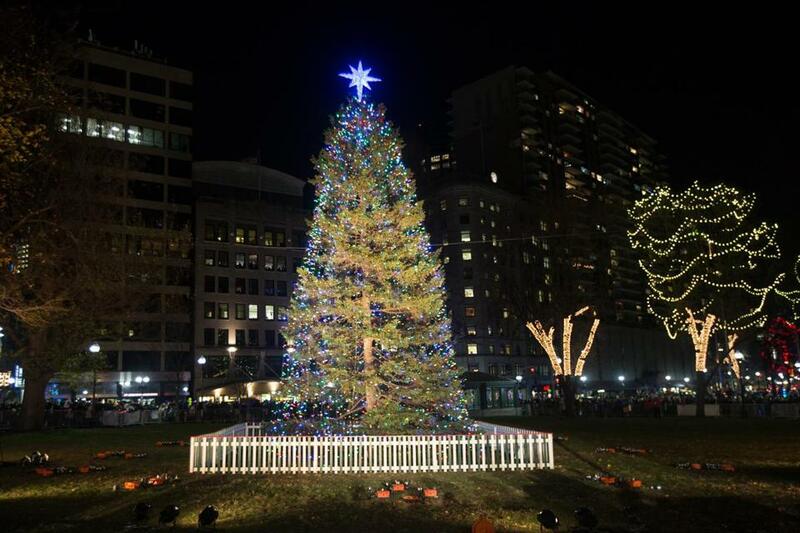 Mayor Marty Walsh lights the city of Boston’s tree on December 1 (following a free ice-skating show at the Frog Pond from 5 to 6 p.m.). The city also lights the 32-foot-tall Boston public menorah in Copley Square every night of Hanukkah, with a special celebration taking place on December 27 at 5:30 p.m. that Governor Charlie Baker and other notable guests are expected to attend. Back in the day, an animatronic Enchanted Village drew hordes of visitors to the Jordan Marsh in Downtown Crossing. With the department store long gone, the Massachusetts-based Jordan’s Furniture keeps the longstanding Boston tradition alive by displaying the village in all its nostalgic glory, complete with seasonal soundtrack, at its Avon store. 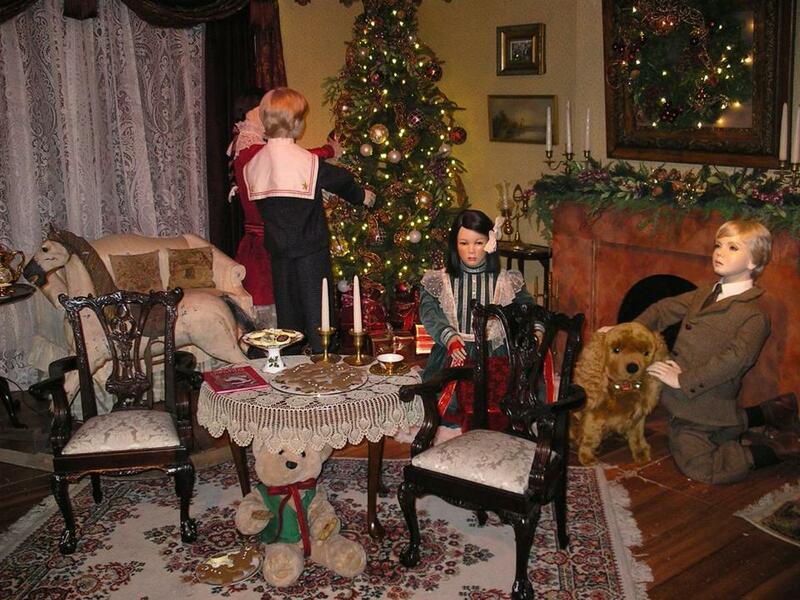 Created in the 1960s, the figures depict a magical Victorian Christmas. In addition to touring the Enchanted Village (for free), you can skate on a 4,000-square-foot artificial ice rink ($5 per person), see a laser light show set to holiday music ($5 per person), and immerse yourself in the Polar Express 4-D Experience ($6 per person) in the store’s IMAX movie theater. 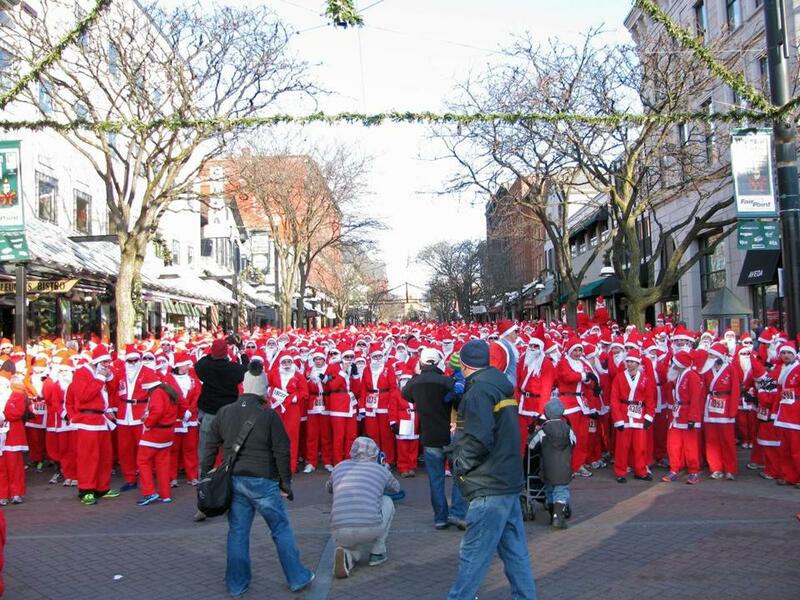 On Cape Cod December 3, you and your energetic offspring can don a costume and your running shoes for the Santa Stampede 5k and Family Fun Run starting at The Barley Neck Inn in East Orleans. Register in advance ($25) on the website (orleanscapecod.org) or at 9 a.m. on race day ($30). On December 10, Boston’s Ugly Sweater Run ($35 per runner; kids younger than 5 free), held at Suffolk Downs, starts and ends with events for the whole family, including prizes, music, games, and a giant snow globe for picture-taking. Buy tickets at theuglysweaterrun.com. The Rose Kennedy Greenway presents Caroling at the Carousel at 5:30 p.m. on the first three Fridays of December with performers like the Songful Artists’ Original Dickens Carolers (December 9). The 13th annual Boston Merry Christmas Caroling Mob will sing its way through Jamaica Plain on December 18, starting at 4 p.m. The meeting place is usually a stop on the Orange Line; it will be announced on carolingmob.org on December 1. The sing lasts around two hours, all ages are welcome, and if it’s raining, caroling will take place on the T. Of course, you can also join in with the Holiday Pops November 30 through December 31. Kids’ matinees feature singalongs and a post-show meet-and-greet with Santa. Tickets start at $39. Each night of Kwanzaa, a seven-night celebration of family, community, and culture, focuses on a different principle — symbolized by the candles on the kinara (candleholder). These include unity (umoja), creativity (kuumba), and faith (imani). Join the Black Community Information Center for one of its events at various community locations around Boston with music, African drumming, and more. On December 14 from 5 to 10 p.m., the Museum of Fine Arts will host a special (and free with museum admission) Hanukkah celebration that includes singing and dancing, talks on some of the pieces in the museum’s extensive Judaica collection, and an interactive menorah lighting. In addition, SecretPortal, a collective of artists, designers, musicians, and coders, will put on 20-minute “mixed reality” performances throughout the day. The shows use virtual technology to project visuals across the stage and tell a story inspired by the Hanukkah miracle of light conquering darkness. Imaginative bakers show off their edible creations at the Annual Gingerbread Competition at the Springfield Science Museum, open to the public until December 31. For gingerbread houses that are guaranteed to meet code, try the Community Design Resource Center’s annual Gingerbread House Design Competition for architects and interior designers. The creations will be on display at the BSA Space in Boston from December 12 through January 2. Or you and the kids can make your own gingerbread abode at home with a kit from Trader Joe’s or locally owned Dancing Deer Baking Co.
“It’s a Wonderful Life” will be shown at the Brattle Theatre. 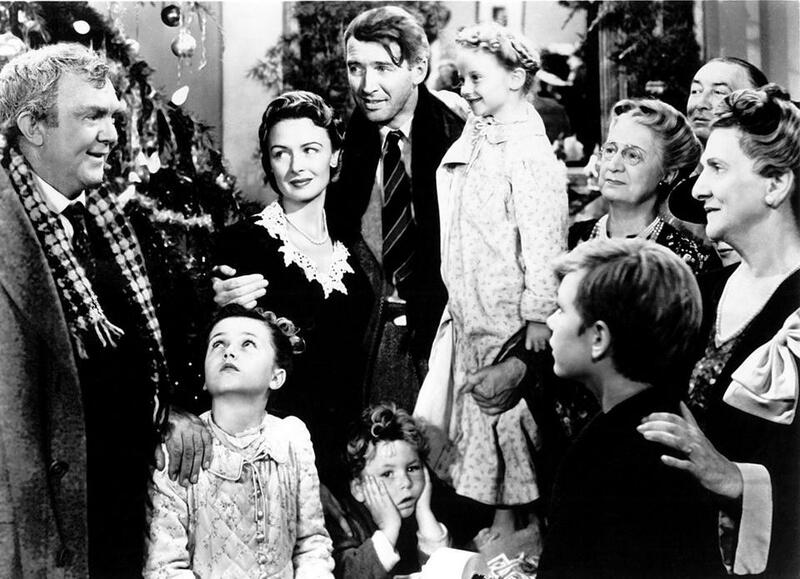 George Bailey and his guardian angel, Clarence, can put the whole family in a thankful mood at the Brattle Theatre’s showings of It’s a Wonderful Life at various times on December 16, 17, and 18. Teens may want to catch a double feature of Christmas-themed episodes from the cult-favorite TV show Mystery Science Theatre 3000, showing December 1 at theaters across the country, including Regal Fenway Stadium 13 & RPX in Boston. The episodes, collectively titled Rifftrax Holiday Special Double Feature, are “Santa Conquers the Martians” and “Christmas Shorts-Stravaganza,” with special guest “Weird Al” Yankovic. Or you could simply get cozy on the couch at home and enjoy holiday fare via On Demand or streaming services like Netflix, which offers Miracle on 34th Street, White Christmas, and other classics. Christmas trains are already chugging across New England. 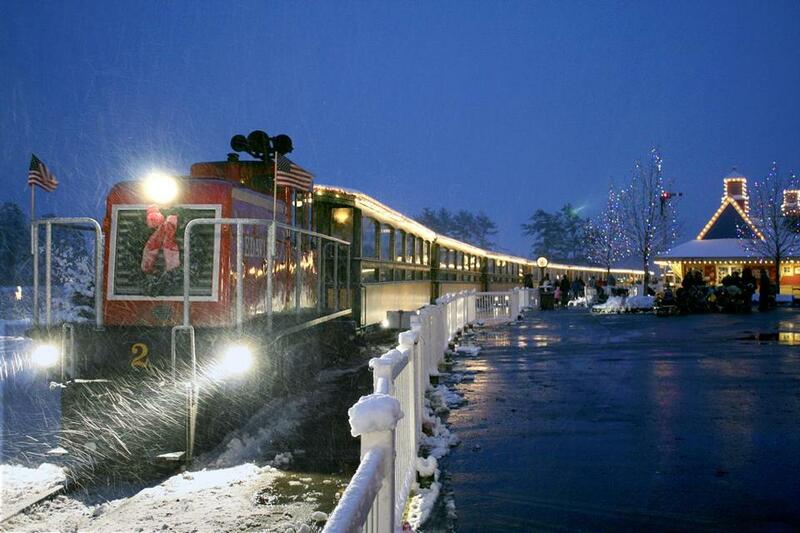 This year, the Cape Cod Central Railroad has a new and improved Polar Express. During the hourlong round-trip journey out of Buzzards Bay (tickets start at $29 for children and $39 for adults), passengers enjoy a reading of the Chris Van Allsburg book, music from the 2004 Tom Hanks movie, and sip hot chocolate served by singing, fully charactered waiters. Find other local Christmas trains at northpoletrains.com, including Edaville’s Where’s Santa? ride (Wednesdays and Thursdays; $47, $18 for kids younger than 2), where passengers can help Mrs. Claus locate Mr. Claus and view the park’s 12 million Christmas lights. Photo ops with Kris Kringle are plentiful this time of year, but the chance to watch him arrive in true New England fashion — by boat — is a bit more special. On December 3 in Rockport, after cruising to shore via lobster boat at 1 p.m., the big man will be available for photos until the city’s tree lighting ceremony at 4. If you hustle, you can catch the annual Newburyport Santa parade and tree lighting today, November 27, 3:30 to 5 p.m., where Santa and Mrs. Claus arrive by Coast Guard boat. Many local paint nights are featuring holiday themes like snowmen, wreaths, or wintry landscapes. Visit paintnite.com to find one near you. At The Clayroom in Brookline, you can decorate your own pottery for $12 to $15. They supply the materials (and the know-how), and there’s no minimum age requirement for making a masterpiece. Artbeat in Arlington is a walk-in studio where you and your kids can stop by to make a mosaic, bangle bracelet, or beeswax candle that the grandparents are sure to treasure. Through the Greater Boston Food Bank, it takes only $20 to provide a family of five with a holiday meal. Visit its website to download a Holiday Meal Drive kit with everything from fund-raising ideas to sample e-mails to help you and your loved ones weave charity into your holiday celebrations. Another way to get your kids involved is to let them shop for an Outfit Pack for boys or girls their own age through Boston-based Cradles to Crayons. Visit cradlestocrayons.org/boston to download a shopping list and get an Old Navy coupon to boost your buying power. Drop your completed packs at the Cradles to Crayons Giving Factory in Brighton or at one of the local drop-off spots listed on its website. You can search for other volunteer opportunities on the bostoncares.org calendar, a searchable database that includes an average of 200 events per month. At the Harvard Square Holiday Fairs (December 10-11, 16-18, 21-24), now in their 31st year, a mix of local artists and importers sells handmade gifts like soaps, clothing, and silk scarves on the fourth floor of 50 Church Street and in the courtyard outside. The CraftBoston Holiday show (sponsored by the Society of Arts and Crafts) at the Hynes Convention Center, December 2 through 4, boasts 175 exhibitors selling fine arts, crafts, and collectibles. Families will love the Hopkinton Center for the Arts Holiday Boutique, on December 3, where you and the kids can see the Festival of Trees decorated by local artists, performances from The Nutcracker Suite, and, of course, shop for handmade jewelry, quilts, and more. First Night parade in Copley Square. This year, all of the events that make up Boston’s long-running First Night celebration are free, and there will also be First Day events January 1 for those who don’t plan to sleep in. Happenings on December 31 include a daylong party at the Boston Public Library (beginning at noon), with a magic show, arts and crafts sponsored by the Greater Boston Chinese and Cultural Association, a Museum of African American History Jubilee Concert, and more. 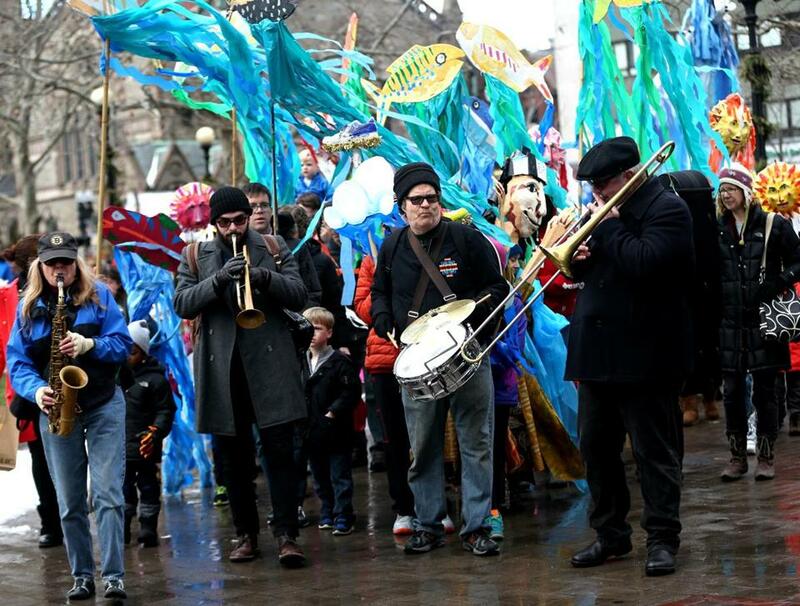 The kid-friendly fun culminates with the annual Peoples Parade that leaves Copley Square at 6 p.m. and ends at Boston Common for a fireworks display at 7. First Night and First Day events are still being scheduled. Check firstnightboston.org in early December for more information. Stephanie Tyburski is a regular contributor to the Globe Magazine. Send comments to magazine@globe.com. This story has been updated to reflect that the special celebration at the public menorah in Copley Square was rescheduled to tonight, Tuesday, December 27.